••Saturday•, 02 •March• 2019 08:02•	??EPSCadmin?? The C/C. Winn Mavericks varsity boys baseball team mentored by head coach Heriberto Roiz and assistant coaches Rene Ramirez, Jesus Gomez, Rolando Salinas, Jr. and Domingo Lopez hosted the Somerset Bulldogs on Tuesday, February 26, 2019 in a 7:00 PM District 28-5A baseball diamond home opener at the Eagle Pass ISD Student Activity Center Polo Moncada Baseball Field with the famed Maverick Nation in attendance ready to cheer and support the mighty Mavericks. ••Saturday•, 02 •March• 2019 07:59•	??EPSCadmin?? Coming off their impressive showing at the Harlandale ISD Softball Tourney, the mighty C.C. Winn Lady Mavericks under the guidance of head coach J.J. Iracheta, Jr. and assistant coaches Tony Martinez, Johnny Hernandez, Corina Escontrias and Fred Paniagua hit the road again on Tuesday, February 26, 2019 with a trip to Floresville, Texas to resume their respective District 28-5A softball diamond battles against the Floresville Jaguars in a 7:00 PM district softball encounter. ••Saturday•, 02 •March• 2019 07:57•	??EPSCadmin?? Coming off a very impressive showing at the 33rd Annual Border Olympics Baseball Tournament, the Eagle Pass Eagles varsity baseball squad tutored by head coach Reynol Mendoza ventured to San Antonio, Texas on Tuesday, February 26, 2019 to square off against the San Antonio Antonian Prep School Apaches in a 4:15 PM non-district baseball diamond encounter. ••Monday•, 25 •February• 2019 06:59•	??EPSCadmin?? The C.C. Winn Lady Mavericks varsity softball team under the leadership of head coach J.J. Iracheta, Jr. and assistant coaches, Tony Martinez, Johnny Hernandez Corina Escontrias and Fred Paniagua ventured to San Antonio, Texas on Thursday, February 21, 2019 to compete in the three-day Harlandale ISD Softball Invitational Tournament where they squared off against some quality competition which will greatly benefit the Lady Mavericks when they resume district action this coming week. The Lady Mavericks won four out of the five games they played at this tournament to come away with the Runner-up championship title and improved their overall season record to 10 wins with only 3 losses. ••Monday•, 25 •February• 2019 06:55•	??EPSCadmin?? 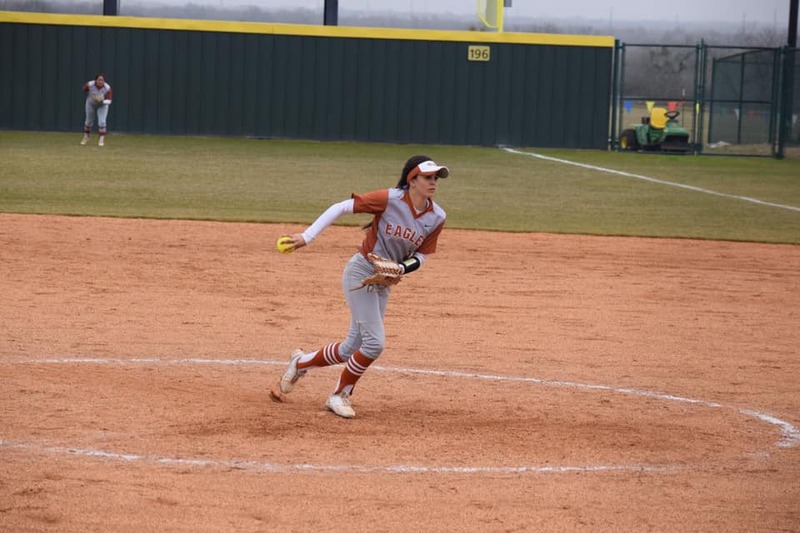 The Eagle Pass Lady Eagles varsity softball team hit the road on Thursday, February 21, 2019 with a trip to San Antonio, Texas to participate in the three day Southwest ISD Invitational Softball Tournament where they faced some high caliber teams which will greatly be very beneficial to prepare themselves for the upcoming District 29-6A diamond battles. ••Sunday•, 24 •February• 2019 10:40•	??EPSCadmin?? 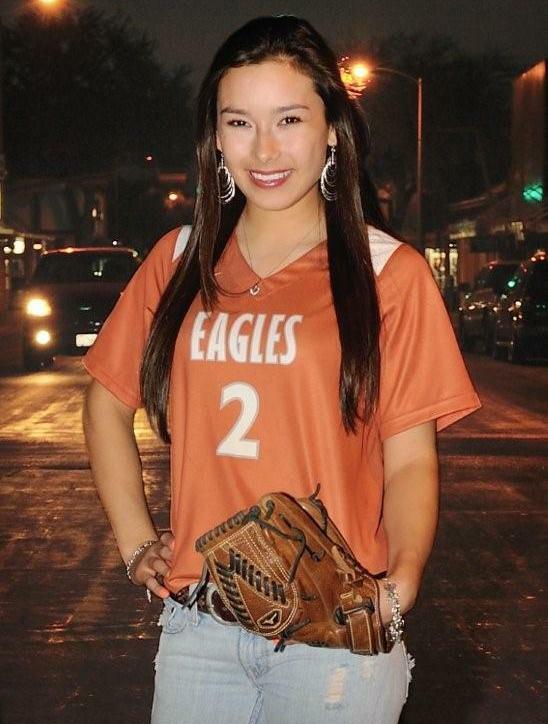 My ever growing Eagle Pass, Texas local athletic history record book added yet another milestone chapter this past Thursday, February 21, 2019 when a rare history making feat was accomplish by three year standout Eagle Pass Lady Eagles varsity girls softball pitcher Kaitlin Galvan and Eagle Pass Eagles varsity baseball pitcher Sergio Lopez who both recorded no-hitters on the same day and ironically both of them by the identical final score of 8 to 0. ••Sunday•, 24 •February• 2019 10:29•	??EPSCadmin?? ••Sunday•, 24 •February• 2019 10:10•	??EPSCadmin?? ••Saturday•, 23 •February• 2019 12:33•	??EPSCadmin?? With all four District 29-6A girls’ basketball teams having been finally eliminated from the post season, Eagle Pass Sports Central has been authorized by Eagle Pass Lady Eagles girls head basketball coach Ruben Besa to announce the 2019 all-district girls’ basketball selections as chosen by the respective district girls’ head basketball coaches during their annual post district and regular season meeting. ••Friday•, 22 •February• 2019 23:46•	??EPSCadmin?? Coming off their impressive showing at the Navarro Invitational Softball Tournament this past weekend the C.C. Winn Lady Mavericks varsity girls’ softball team under the tutelage of head softball coach J.J. Iracheta, Jr. and assistant coaches Tony Martinez, Johnny Hernandez Corina Escontrias and Fred Paniagua entertained the Somerset Lady Bulldogs in a 7:00 PM District 28-5A softball opening diamond encounter on Tuesday, February 19, 2019 at the Eagle Pass ISD Student Activity Center softball field.